The AuCom Pocket Technician puts the tools you need to troubleshoot issues with starting and starter operation in the palm of your hand. To retrieve the data, simply use the Pocket Technician to scan the QR code on an AuCom EMX4i or EMX4e soft starter display. The app instantly shows detailed information on the starter model, status and the last three trips, all useful for identifying the conditions that may be responsible for issues with starting and starter operation. If you need help, you can send the data retrieved from the starter to your nearest support professional straight from the app. Press share and the data is ready to email. It's that simple. Prefer to help yourself? The Pocket Technician links directly to the AuCom website for quick and easy access to product manuals and support documents. The AuCom Pocket Technician is available for both iOS and Android mobile devices. Download it today from the App Store and Google Play! Already downloaded the app? 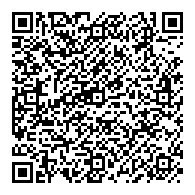 Scan this QR code and see the AuCom Pocket Technician in action!